Our Jalapeno White Tea is a mouth-watering flavored White tea with Jalapenos (Dried, Diced), Green Bell Peppers and Red Bell Peppers that you can enjoy all year round! The aroma and Jalapeno flavor is a delight! Buy 1 for $22.40Buy 2 / Save $1.20!Buy 3 / Save $4.48! 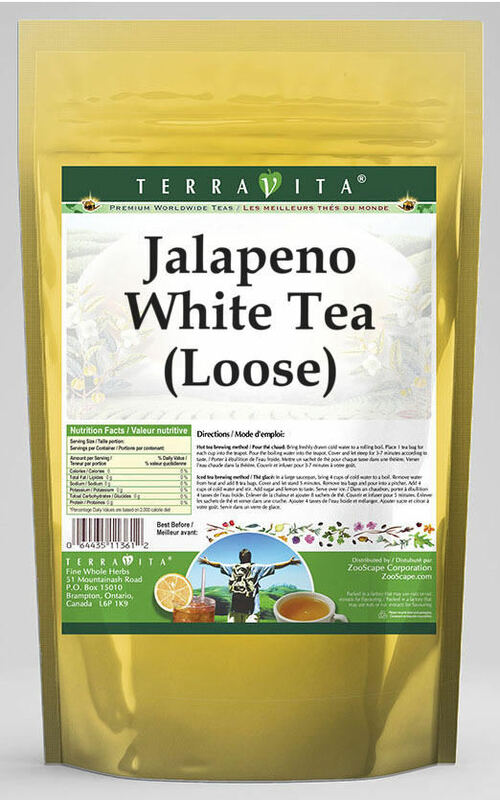 Ingredients: White tea, Jalapenos (Dried, Diced), Green Bell Peppers, Red Bell Peppers and Natural Jalapeno Flavor.